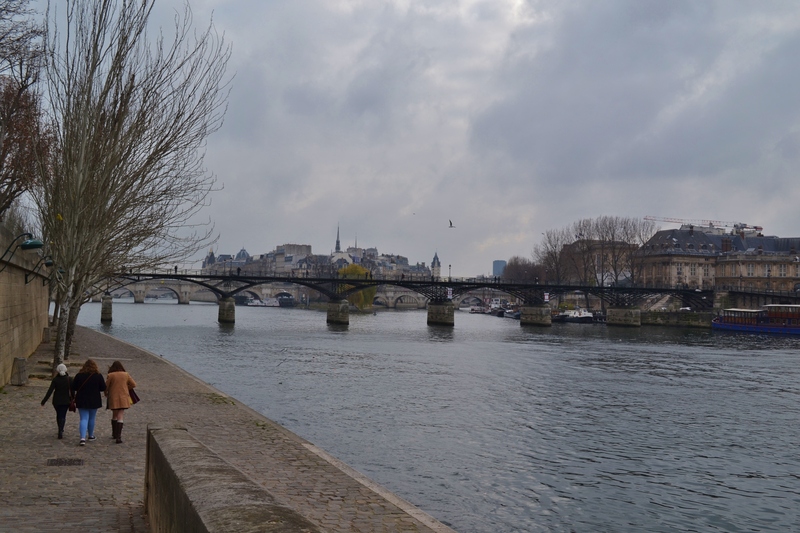 Paris, December 2016 — a grey, but beautiful walk along the Seine with friends. I am just waking up from a long winter’s nap, it would seem. Blog has been dormant, but it will be back. I still have photos to post; I still have thoughts to flesh out. Tonight marks Twelfth Night– the eve of Epiphany, the end of the 12 days of Christmas. It’s considered very bad form, and bad luck, to keep Christmas decorations up any longer than this. This, I think, is a plot hatched by type A neatniks to push type B malingerers into a tidy-up already. Not a bad ploy; I get it. However, this time last year, I decided to keep my tree up another week or two, until my corner of Germany got some snow. When the snow finally made its appearance, I snuggled under a blanket with a book and some hot chocolate while the tree lights twinkled. No bad luck in that. Good stuff, but not a winter wonderland. In the States, we don’t pay much attention to the “12 days” of Christmas. 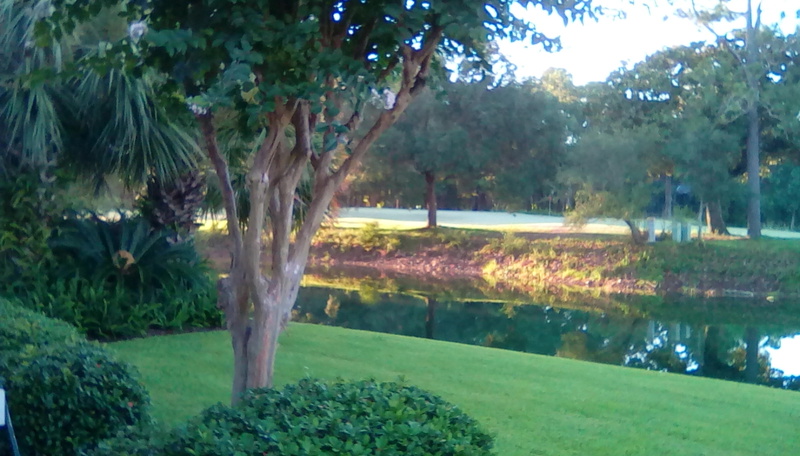 (Christmas day until Epiphany, January 6th.) It’s more of an Old World concept. But it lends more structure, and a greater sense of traditional festival, to the holiday than our modern sprawl (which is more like the 12 weeks of Christmas, starting before–or at, if we are very lucky– Halloween). Twelfth Night offers a chance to wallow in Christmas traditions for one more night– to eat heartily (and include a King’s Cake on the table) and drink wassail. It’s also the night when you finally allow the yule log to die out– that log that you started burning on Christmas Day and kept going until now. The yule log is said to bring luck for the coming year, and, if you’ve kept a fire burning around the clock for the last 12 days and your house is still standing, then I’d say you’re pretty lucky! We didn’t do that at my house. 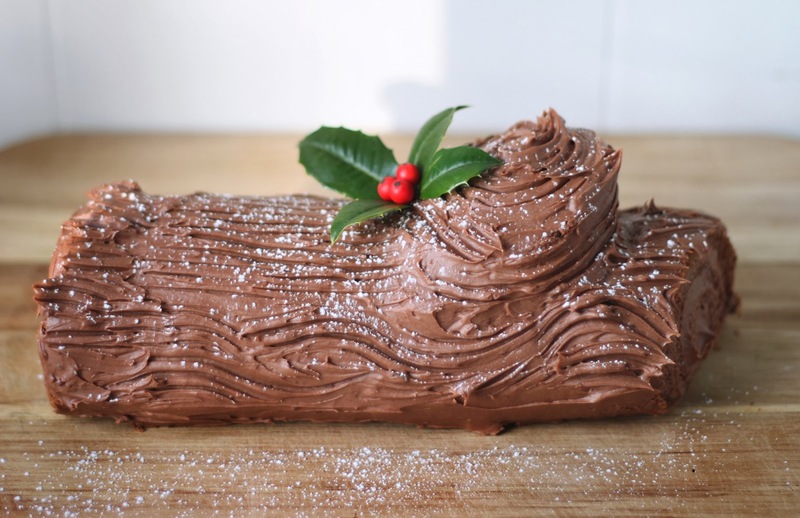 We did, however, bake a yule log (a buche de Noel) and gobble up every crumb. Hopefully that imparts luck and not just extra pounds. From our experiences in Germany, it’s obvious that Twelfth Night doesn’t just mark an ending of a season– it is also the beginning of the carnival season that leads up to Mardi Gras. We’ve seen this in Bavaria and the Black Forest, where Christmas season seems to be dipped at both ends with a dollop of menace. On the front end of Christmas, Krampus came for bad children around December 6th (Nikolaustag), and now at the holiday’s closing bell, masked demons parade in the streets as the carnival season gets underway. Down the hill we went into snowy Triberg. Two years ago, in January, we took a trip to the Black Forest. 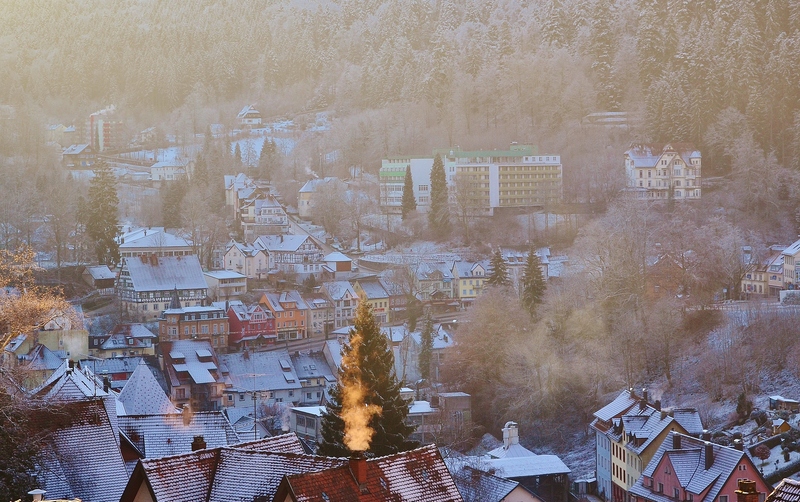 We spent the night in Triberg, and the snow was falling fast and starting to accumulate. We tucked the kids and dogs into the hotel in the early evening and told them we’d go find a restaurant in town and bring dinner back to them. When we got down the hill and into town, we turned toward a restaurant we’d seen earlier in the day, and ran headlong into a merry band of demons parading the streets. But, you know, these things happen in the Black Forest. We laughed, but didn’t think much of it until the next day when we were talking to Oliver Zinapold in his Triberg woodworking and clock shop. We talked cuckoo clocks at great length, and even bought a lovely clock from him, and before we left we spotted a devil’s mask up on the wall. I asked about it. “Oh, it’s a good thing you came today,” he said. “Tomorrow, I close up shop and go to Switzerland for a few days to be in the Carnival.” He showed us his hand carved mask, and pulled out a sketch book of other masks (and clock faces) he’d made. And suddenly the merry band of devils we’d seen in Triberg made perfect sense. So, don’t mourn the passing of Christmas time at Twelfth Night . . . just realize that thirteenth night marks the beginning of another lively season. And more than a little mischief. I’ll leave you with a short video of Oliver Zinapold’s workshop– Oli’s Schnitzstube. The video is in German, but if you are drinking your Twelfth Night wassail, I expect you’ll understand every word of it. And even if you don’t, it’s worth seeing the lovely clocks and (an added treat) one of his devil masks can be seen hanging on the wall at about 22 seconds into the video.